Round steak comes from the rump end of the cow and is notoriously tough. As such, it is difficult to make round steak tender especially in a short period of time. 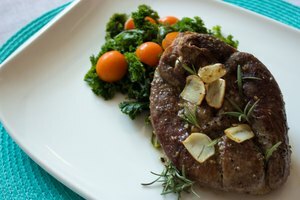 There are a few techniques, however, that will allow you to serve tender and delicious round steak even if you do not have a lot of time to prepare dinner. Marinating the meat in a solution that is acidic, like vinegar, can break down the fibers in the meat and render it more tender. Have enough marinade, either bottled or homemade, to cover the meat completely either in a bowl or sealed in a zip top bag. Marinate the meat for at least six hours to maximize tenderness. 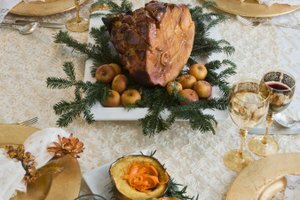 Do not marinate it more than 24 hours, or you risk over-tenderizing it and turning it soft. Once the meat is marinated, pound it to about a quarter inch thickness then slice it thinly and cook it in a large frying pan for two to three minutes per side. Pressure cooking is a great way to cook tough cuts of meat. Simply brown the meat in the bottom of the pressure cooker, then add about a half of a cup of liquid. Pour other ingredients such as cream of mushroom soup, rotel tomatoes or onion soup on top of the meat. Put the lid on the pressure cooker and once the steam begins coming out cook for an additional 15 to 25 minutes, depending on how well you like your steak done. Cube steaks, also known as minute steaks because they can be cooked so quickly, are made of round steak. 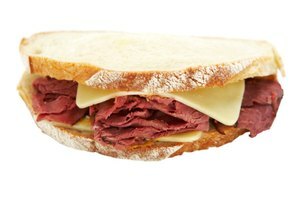 These can be easily made at home, even without the advantage of a cube steak machine. Simply put the steak between two pieces of plastic wrap, then strike the meat with a meat mallet, rolling pin, or other similar object, until the meat is about an eighth of an inch thick. If using a meat mallet, use the waffle patterned side for a few strokes on each side to tenderize it again. 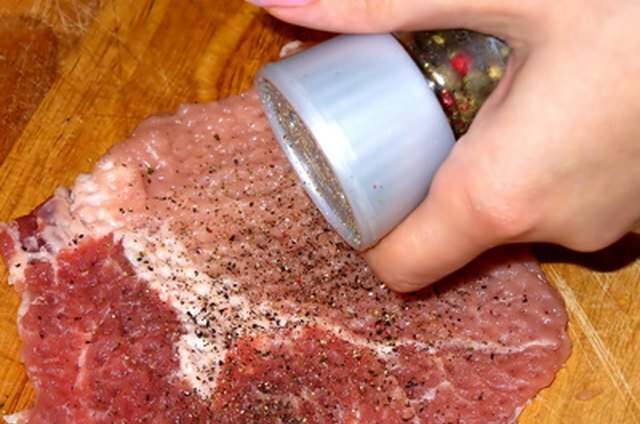 Use this in place of a store-bought cube steak in your favorite recipes. 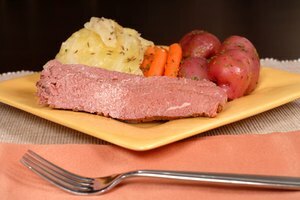 While the actual cooking time is long in a slow cooker, a dinner of round steak prepared in one can be served relatively quickly. 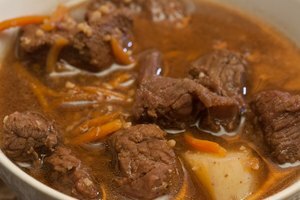 Placed in a slow cooker for eight hours on low, liquids like broth or cream soups turn round steak tender in time for dinner.